2nd Audition happening on 16/09/2018. NOTE : Post payment online, Please make sure to submit your registration form to complete your registration process and to be submitted into the event. 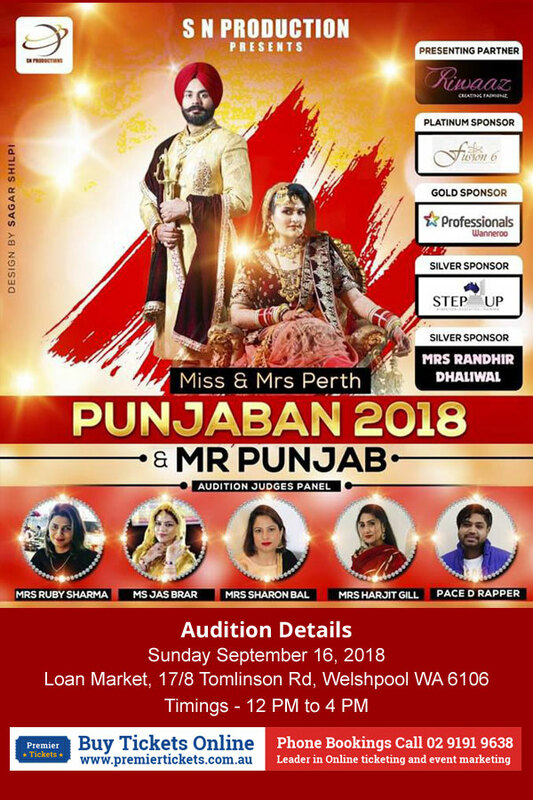 SN Productions proudly announce 2nd Auditions of Miss & Mrs Perth Punjaban 2018 along with Nikka Gabru & Nikki Mutiaar + Mr Punjab 2018. 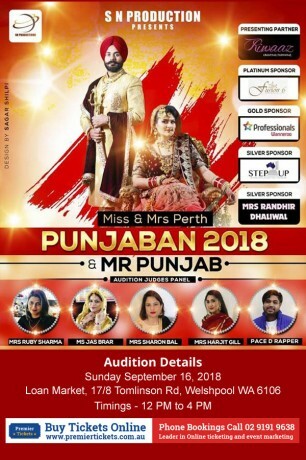 SN PRODUCTIONS presents Miss & Mrs Perth Punjaban 2018. There will be various sections to the contest. Premier Tickets Australia is proud to be the online ticketing partner for Miss & Mrs Perth Punjaban 2018 in Perth. Contact us for any of your ticketing & marketing needs.